The third session of the 14th National Assembly (NA) spent the entire Friday morning discussing the (revised) draft Law on Public Debt Management, for the first time. 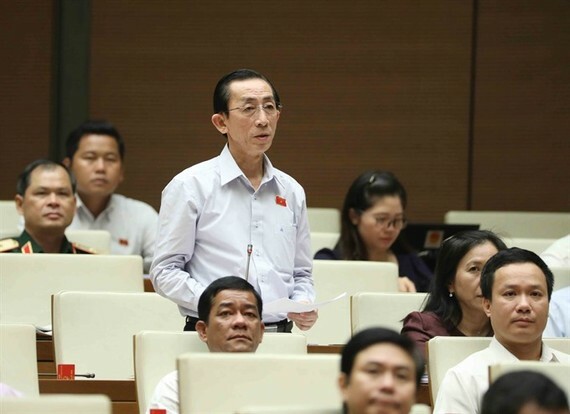 Deputy Tran Hoang Ngan of HCM City said Vietnam’s public debt has risen sharply over the past few years, from 50 percent of the GDP in 2010 to the current 63.7 percent. By late 2015, public debt was 62.8 percent of the GDP. The NA’s Resolution 25/2016/QH14 on the nation’s financial plan for the 2016-20 period has set a public debt ceiling of 65 percent of the GDP. “This is to say that the remainder for this year is around 2.2 percent of GDP,” Ngan said. Ngan noted that increased public debt is not just because of the inappropriateness of the Law on Public Debt Management, there are several other reasons as well, including increased demand for public expenditure, and budget overspending. “Additionally, low public investment efficiency, uncontrolled economic growth, and prolonged implementation of public investment projects also increased public debt,” he said. Ngan recommended that public debt must be made public and updated regularly rather than only quarterly or annually, or when an NA session convenes. He suggested that the Law on Public Debt Management must be considered in relation to other laws such as the State Budget Law, the Law on Public Investment, the Law on Management and Use of State Property, and the Law on Organisation of the Government, so as to better monitor budget spending and make optimal use of revenue sources. The restructuring, rearrangement, merger, dissolution and equitisation of State-owned enterprises, especially loss-making ones, must be speeded up, he said. Ngan pointed out that public debt management was the responsibility of the political system. “Local authorities must be held responsible for their locality’s debt,” he said. Deputy Pham Phu Quoc of HCM City shared similar views. "It is necessary to define the responsibility of bodies, organisations and individuals in managing and using public debt," he said. 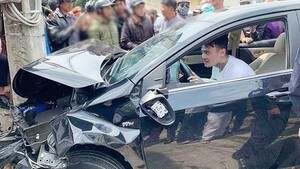 Minister of Finance Dinh Tien Dung said that there were risks involved in the implementation of investment projects, especially those that use government loans and government loans with guarantee, as if they were unable to pay back the debt, the government had to bear the burden. In a report to the NA on Friday morning, minister Dung, a member of the Drafting Committee for the (revised) draft Law on Public Debt Management, said "ground reality indicates there is a lack of connection between investment decisions and obligations to pay debt". The minister emphasised the need to restructure the State budget and public debt, perfect institutions, wholly control risks and ensure public debt safety. “The revised Law on Public Debt Management is essential to improve the efficiency of public investment and secure public debt, whilst keeping the legal system consistent,” he said. Besides shortcomings in the management of public debt that Ngan spoke about, Dung said weaknesses in the management and use of loans, and the allocation of capital sourced from public debts remain unfocused and inefficient. Compared to the Law on Public Debt Management, which was promulgated in 2009 and came into effect a year later, the revised law has three additional chapters with 18 articles. Of the total 49 chapters in the 2009 law, 44 have been amended.